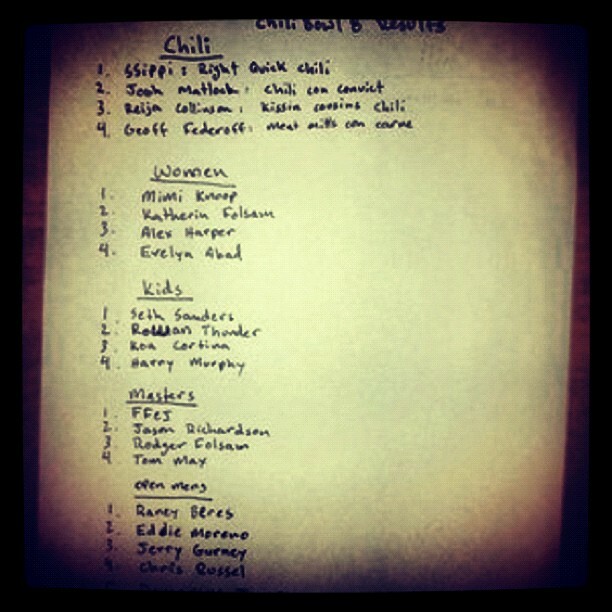 Chili Bowl Highlights, the Thrasher edit!! The 8th Annual Chili Bowl contest at San Francisco’s Potrero Del Sol skatepark brought together skaters, enthusiasts, lurkers and chili cookers from all over the world for an afternoon stacked with raw bowlriding and cooked spicy chili recipes. Plenty of good times, gnarly slams and high-energy skate sessions kept the yearly gathering charged well into the early evening. The final results are below. Thanks to Toad and Salmon and all the people that participated to make another great Chili Bowl a big success! Thanks to all the Sponsors: Thrasher Magazine, Lowcard Mag, Skidmark SkateMag, Anti-Hero Skateboards, Think Skateboards, Spitfire Wheels, Heavy Wheels, Emerica, Paradox Grip, Creature Skateboards, the Gullwing Army, Black Star Beer, Lucky Bearings, Dirty Pigeon, Mission Skateboards, Hangtown Skateshop, Monster Energy Drink, the Poseidon Foundation, Erik and Andrea Bibelheimer, Trife, Blood Wizard and Skate and Destroy Breast Cancer for all the product and financial support you guys gave to help make this happen. See you all next year!